Everyone wants to look good and feel good! However, not everyone is willing to put in the work needed to achieve the desired result! It takes time, energy, dedication and willpower! It seems that most people struggle the most with the control over the nutrients they feed their bodies with. Diets are not as easy to follow as they seem. People often quit after a short period of time and they start eating junk food immediately after that. The struggle is real and the following list will prove it to you! 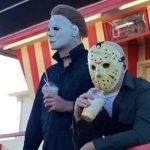 Maybe you will be able to relate to some of these photos. A lot of things require patience! You think about your goal in the long run in order to succeed. When you make the decision to introduce drastic changes in a certain aspect of your life, you need to fight day after day with a lot of factors. The main factor when it comes to dieting is the variety of temptations. It is easy to give in and lose all the progress you achieved, but nobody does it purpose, of course. 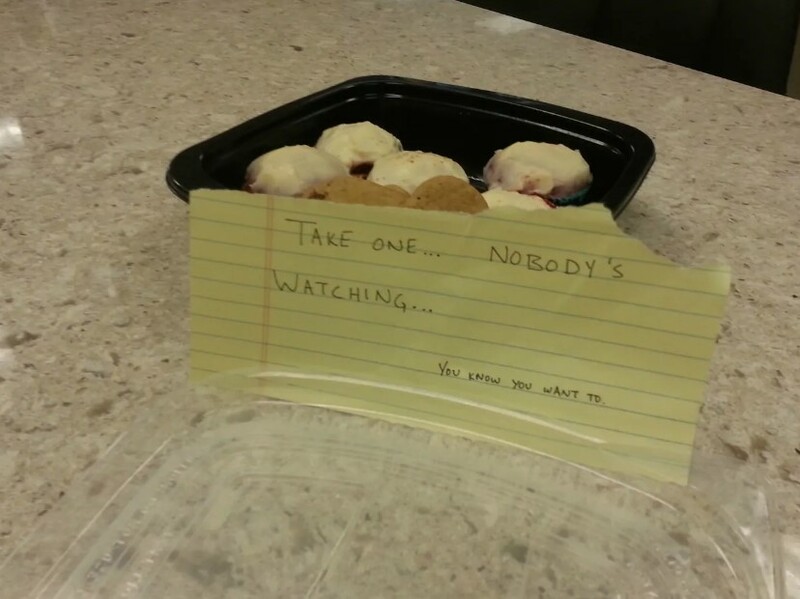 The temptation is too big to resist in certain cases! We guess that only a small percent of people who are on a diet achieve the desired result. 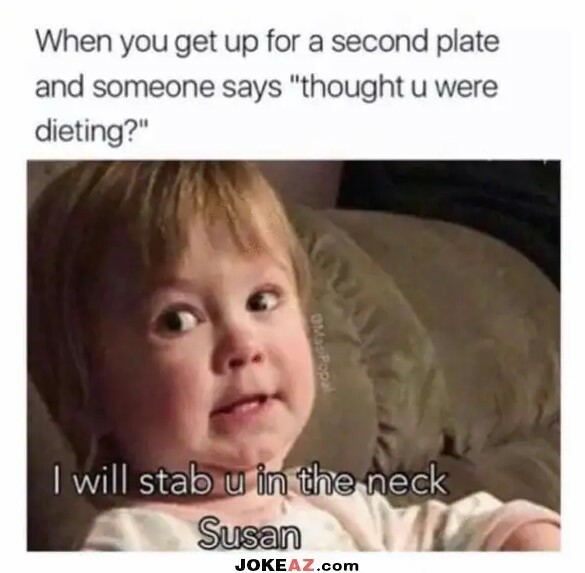 If you are desperately trying to follow a diet plan or you decided to restrict your daily calorie intake, you probably already know that everyone around you can be really annoying. Some people would actually stalk your progress and keep a close eye on you despite the fact that nobody asked! No matter how close these people are to you, you will still find them to be extremely annoying if they constantly make remarks about your progress or your bad habits. This is why you should to your own thing without sharing what you intend to do. Of course, we are kidding about this one. Sure enough, wine is made out of grapes, but it is not equal to the amount of fruit you should consume every day. However, some people are willing to do what they want to do, despite the fact that it might not actually be the right thing. 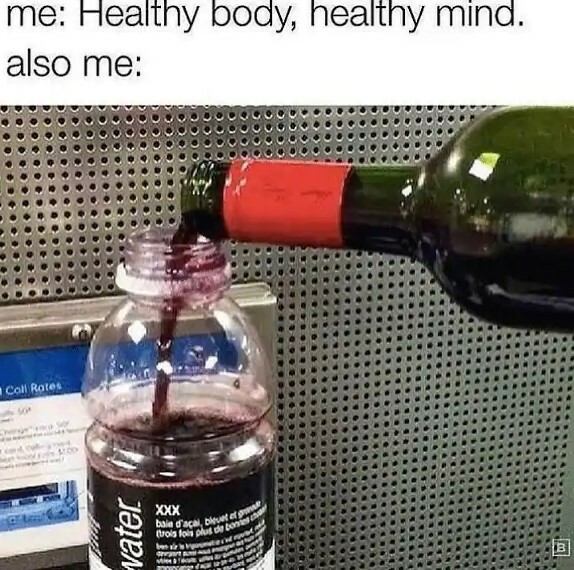 As you can see, someone decided to pour some wine into a bottle of vitamin water! We hope that the original contents of the bottle was blueberry or blackberry-flavored. This way the wine would look like the bottle’s original contents. Of course, the person who did this probably had no intention to drink all of the wine as a part of a diet, but it is still funny to see. These photos are amazing, because they show one truly unique cake! 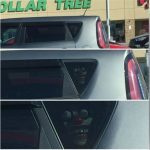 At first glance nobody would suspect a thing! The realistic details and the color look exactly like a neatly stacked bundle of asparagus! People who are on a diet probably eat a lot of this vegetable. However, the magic was revealed after someone decided to show what it actually was. As you can see, it is a delicious-looking cake that we definitely want to try! We guess that this would be a frustrating sight to see for all of you who are currently struggling to keep up with their diet plans. Some people really want to make a change in their lifestyle, but it proves to be too much for them. This is the moment they start making excuses! 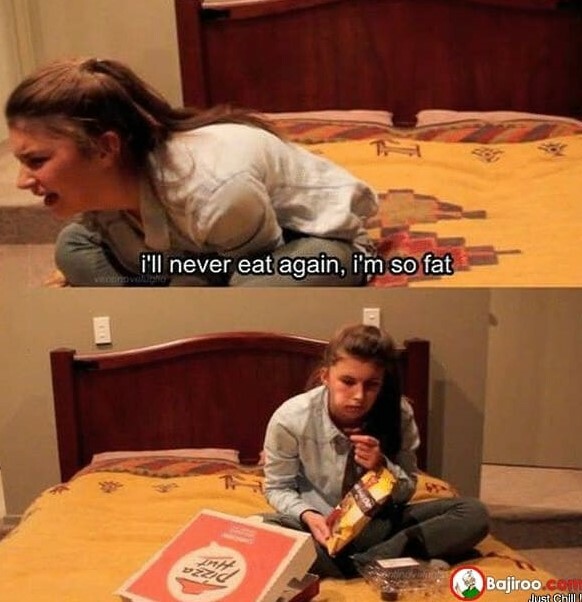 The worst part is when they find a good enough reason to eat some junk food. They literally lie to themselves in order for their guilty conscience to remain silent. The photo above shows someone’s attempt to do the same thing! Of course, there is some sense of humor involved. 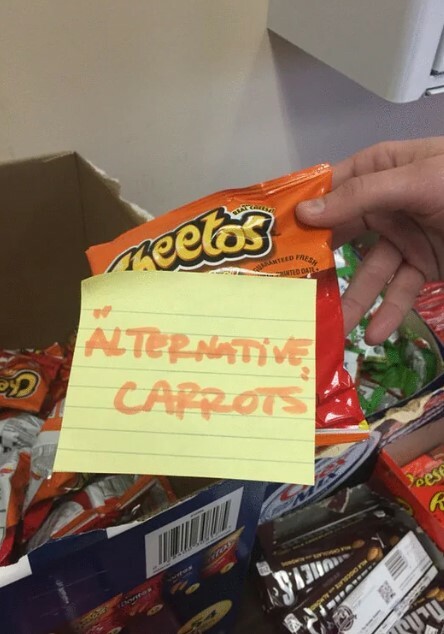 Nobody would consider a bag of Cheetos to be a good enough substitute for carrots. Sometimes it doesn’t take much to tell what’s going on in an image. This dog is clearly making a statement! 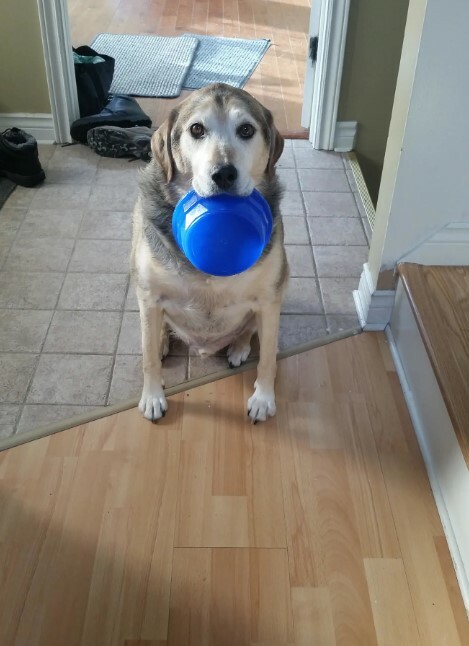 You have probably already guessed that the dog is really hungry and probably a bit frustrated. The reason is that the dog was apparently on a diet for quite some time. As a result the dog learned the trick you see in the photo. The smart canine welcomes everyone at home holding that bowl and looking the exact same way. If you are on a diet but you experience strong potato chip cravings, there is a solution. 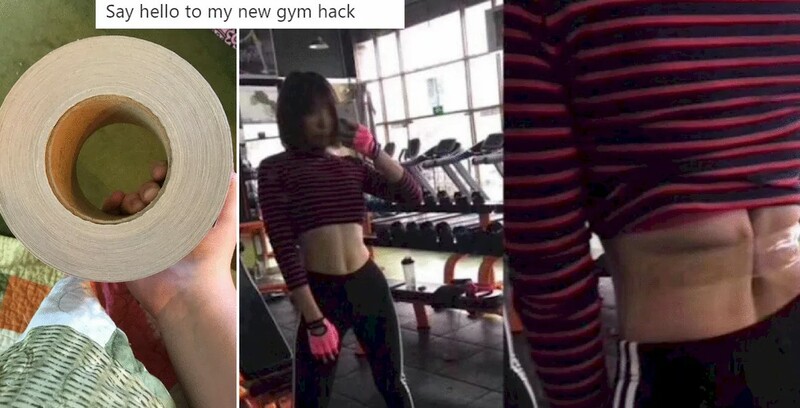 The person who took the photo suggested how to do it without having a guilty conscience. Of course, it has something to do with luck, but you could still stack a few pieces together and dip them in the sauce! However, you should still try to restrain yourself from eating junk food if you were able to follow the diet plan for some time. 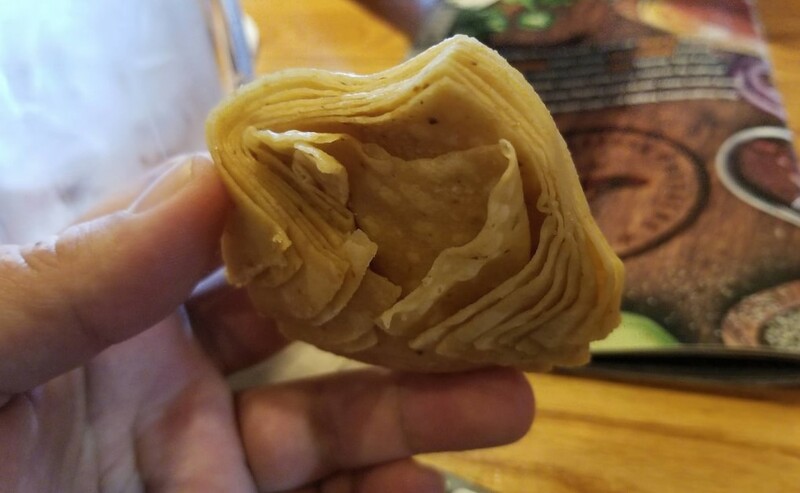 It is not worth to sacrifice all that effort for a few potato chips. We have always believed that you need to dedicate yourself entirely if you are about to pursue a cause or a goal. This means that you need to be concentrated and persistent. All the temptations you will surely feel should not affect you. Yes, we know that this is easier said than done. However, you should still try and give your best while you are at it! If we are talking about a diet plan, there is one easy way to escape the temptation traps ahead of you. All you need to do is let your junk food cravings get the better of you immediately before you begin following the diet plan. The photo posted above shows how someone was able to prepare a meal combo that look amazing! This huge calorie bomb is more than enough to make you forget about junk food for a long time. Sometimes even the biggest effort you make would not be enough when there is a ton of temptations everywhere around you! As you can see, sometimes the others even set traps for those who cannot resist! We are convinced that if you pass near that tempting invitation, you would surely grab a piece! We know we would! 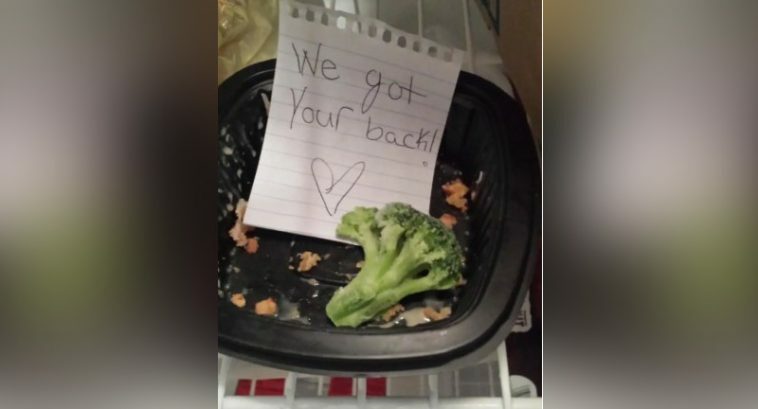 Maybe this setup was nothing more than a prank created by the coworker or friend of someone who was trying to follow a diet plan. This is what a lot of us do, no doubt about it! It is only human nature when you want to avoid admitting that something is wrong. You try to swirl around the fact that bothers you and you come up with all kinds of reasons why it is actually good. Of course, in reality it is probably not. The logic that chocolate is okay to include in your diet because the cocoa in it is a plant is absurd. 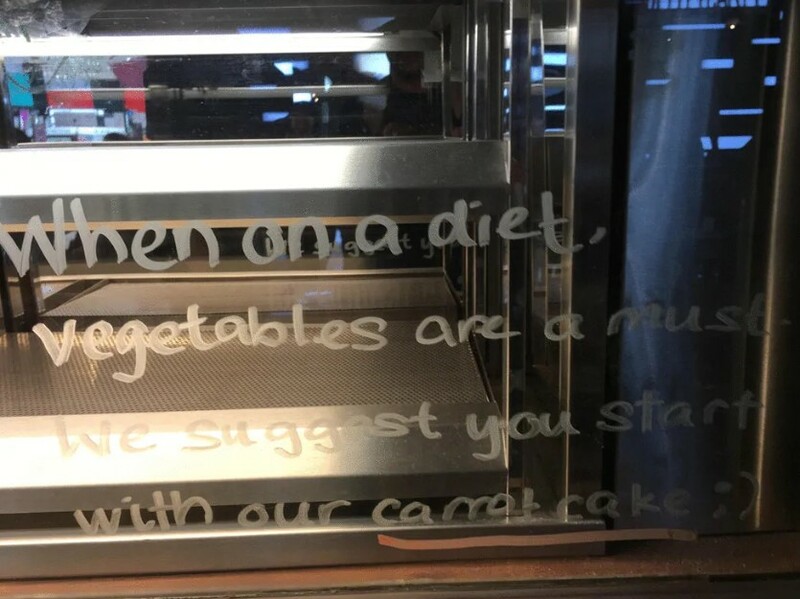 The same logic was followed by the person who wrote that sign! However, it may just be some clever sarcasm on display! Well, it is not hard to see what we mean by calling it an anti-diet behavior. 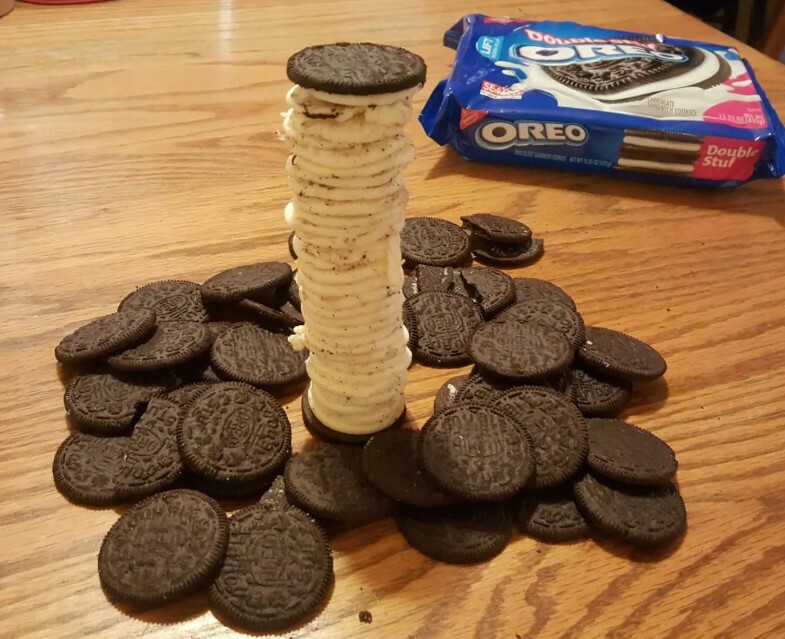 Someone spent a lot of time to scrape all of the cream off these Oreos and stack it between two cookies. The end result is the biggest Oreo-themed monstrosity we have ever seen! 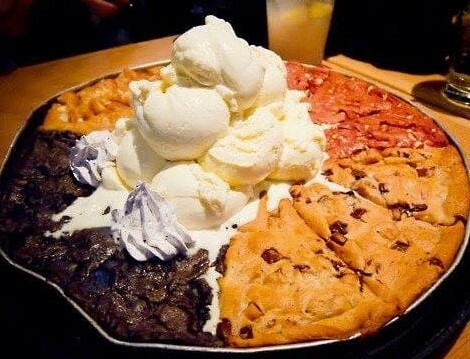 It sure looks delicious, but it is the last thing you would want to eat if you follow a diet plan. Even if you allow yourself to have a cheat day, it would still be too much! This photo shows something really clear. If you have doubts about what you see here, we will make it clear for you. Someone just decided to end their diet. This is it, plain and simple! There is no other reason for that body weight scale to be where it is. Just imagine how someone was determined to change their life. 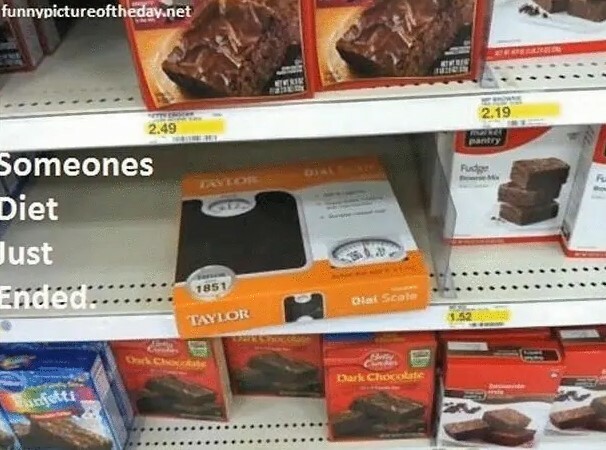 That someone went inside the store, bought some health food and a scale. Just when everything seemed okay, the person passed by the sugar goods aisle and the diet plan was canceled. As we already mentioned, having a great body requires a lot of effort! You need to visit the gym or exercise at home on a regular basis! However, some people want the good looks without doing anything. This is why hacks like this one exist. Of course, it would be good enough just for a photo or two. The best alternative is just doing what you need to do.